You do not have to be Native American to realize the truth of Trump’s message. He is, after all, the “great communicator.” And nothing speaks louder than just watching him in action. He is the living definition of a racist pig…even if he does bray like a jackass. 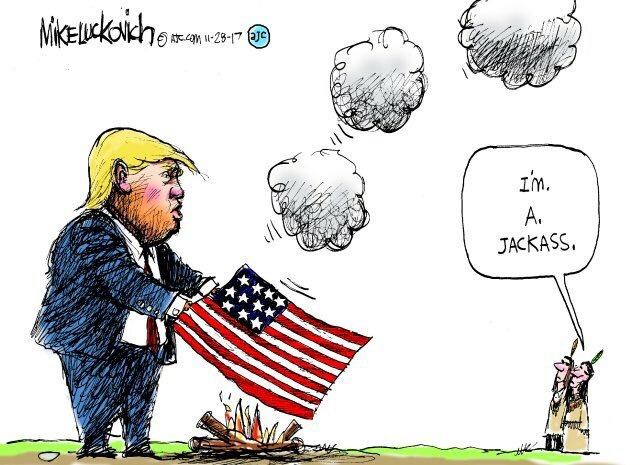 This entry was posted in News & Views, Quotes and tagged action, BLOTUS, cartoon, great communicator, jackass, living definition, message, Mike Luckovich, Native American, pig, racism, smoke signals, Trump on November 28, 2017 by Ray Buchanan. Faithfulness to the Gospel demands action. Silence in the face of injustice is a denial of the Christ we as Christians claim to follow. 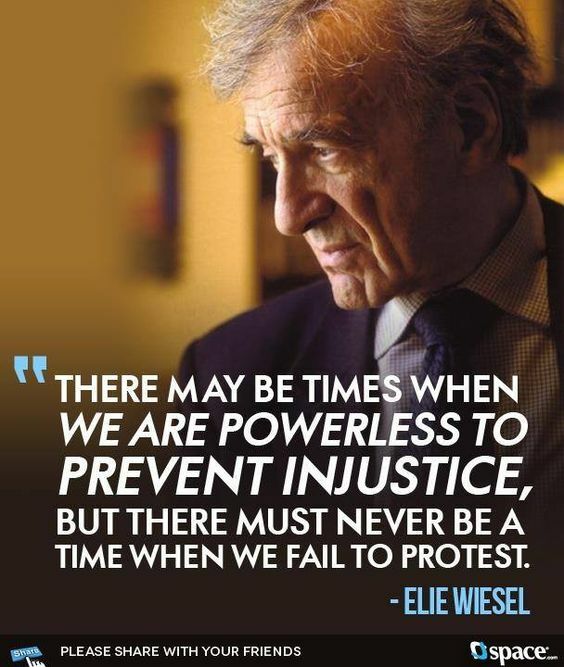 This entry was posted in Hunger & Poverty, Quotes, Spirituality & Religious Writings and tagged action, caring, Christ, denial, Elie Wiesel, faithfulness, gospel, injustice, message, option, powerlessness, protest, sermon, silence, speaking out, truth on March 26, 2017 by Ray Buchanan.